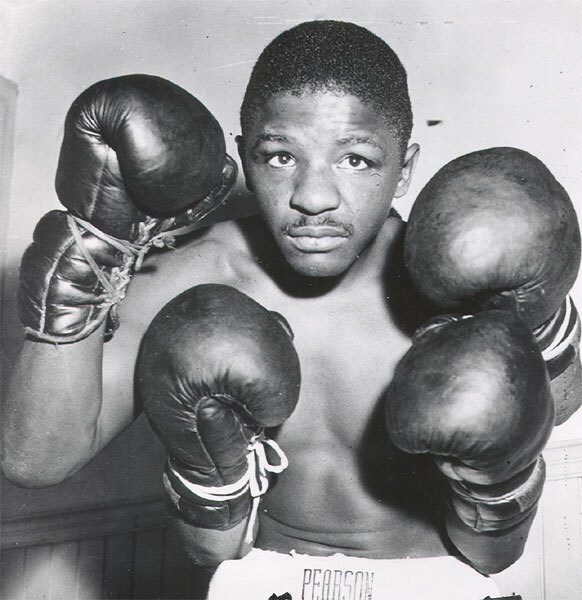 Percy Bassett, the puppy-eyed puncher from West Philly scored a 10-round unanimous decision over Cuban Orlando Zulueta on this day in 1950. The main event of the evening was promoted by Jimmy Toppi and played out before 2,280 fans at the Met, located at Broad & Poplar Streets in North Philadelphia. Zulueta stormed out to win the first two rounds, looking to play the spoiler to the popular Philly attraction. But Percy clubbed Orlando to the mat to open the third round, and started his roll toward the decision. Bassett took most of the remaining rounds to seal the victory. The win pushed his record to 39-2 (24 KO). A few months later, these two would face off again, this time in Zulueta's backyard of Havana. And once again Bassett would take the decision over 10 rounds. Bassett fought on and won the Interim Featherweight title in 1953. Ultimately he would post a 64-12-1 (41 KO) record, although the world title shot he coveted eluded him. While Zulueta, the Cuban Lightweight Champ, would vie for the world championship at both 130 & 135 pounds. Years after his bout with Bassett, Orlando would return to Philadelphia to fight a thriller against Philly's Len Matthews at Convention Hall.